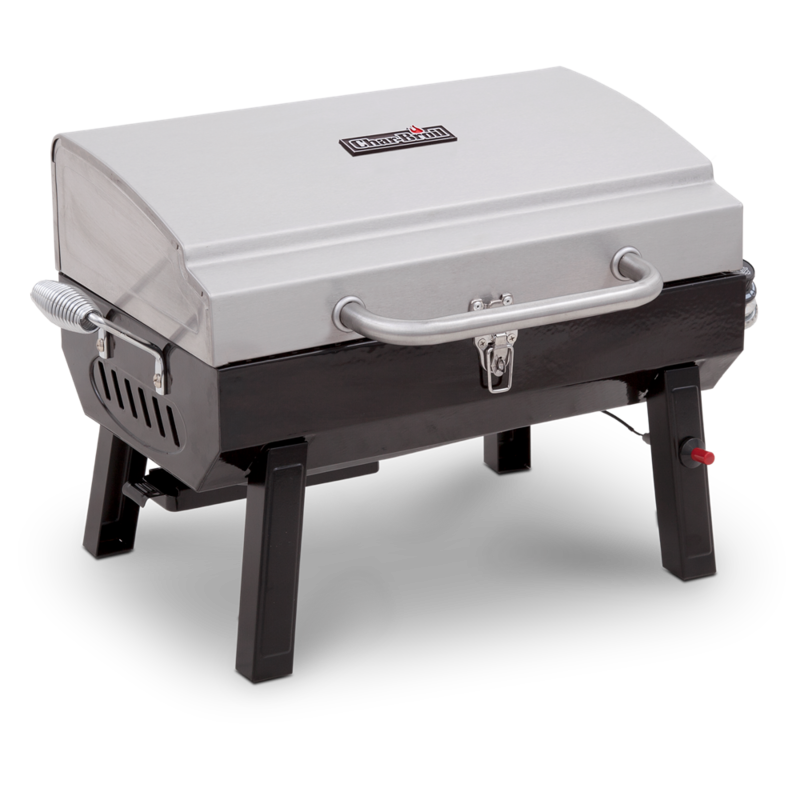 The stainless portable gas grill features a sleek stainless steel design for your on-the-go grilling. It uses propane canisters and lights up with the push of a button. It’s designed to be sturdy and convenient, so you can set up your grill with you when you’re tailgating, camping or on the beach.